Real estate is my favorite asset class to build long-term wealth. In my 20s and early 30s, I accumulated three properties in San Francisco and one property in Lake Tahoe. It was a great ride that earned me a small fortune, but after I turned 40 and became a father, I no longer wanted to spend time dealing with tenants, maintenance issues, and ever-rising property taxes. As a result, I sold one rental property to simplify life. 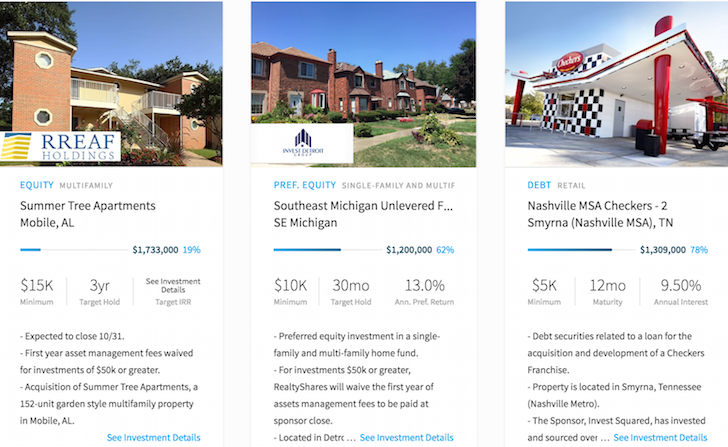 With the ~$1,800,000 in proceeds, I re-invested $550,000 in real estate crowdfunding to earn passive income from lower valued heartland real estate with higher net rental yields. Since 2016, I’ve earned an internal rate of return of roughly 15% a year from my 18 real estate crowdfunding equity investments around the country. What’s better, I’ve spent ZERO time having to deal with the properties after my investments were made. As a father now, my goal is to generate as much passive income as possible. I firmly believe real estate crowdfunding is a multi-decade investment trend that is just starting to take off. By crowdfunding capital, investors can now easily own a portion of multi-million dollar commercial real estate projects in promising cities with lower valuations, strong job growth, and higher net rental yields that were once unavailable. 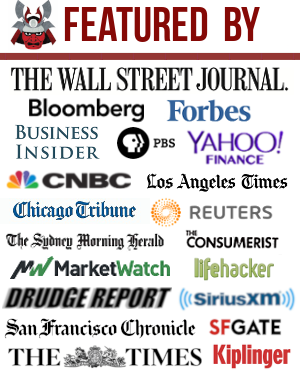 The key is to invest with the best platform, and I think Fundrise is the best platforms for non-accredited investors. They were founded in 2012 and are the pioneers in the eREIT product category and they are creating a new Opportunity Fund to take advantage of tax law changes that began in 2018. 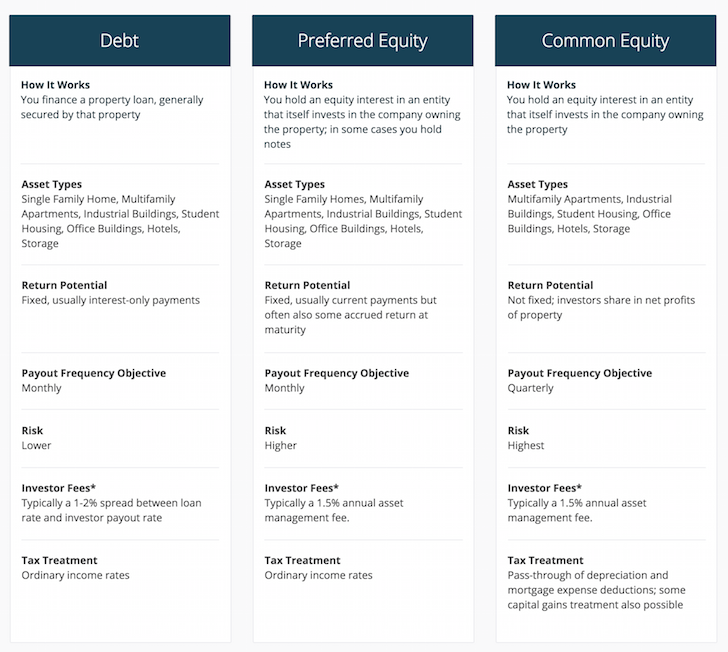 My favorite platform for accredited investors is Realty Mogul. They were also founded in 2012 and have high due diligence standards. They are focused on quality, not quantity when it comes to letting deals on their platform. I’ve spoken to their CEO, and she is determined to build a multi-decade business. Here are some detailed articles I’ve put together for those of you interested in real estate crowdfunding. Once you’ve read all the articles, I’m confident that you’ll have more confidence making better real estate investment decisions. As a real estate crowdfunding investor, it’s important to stick to the largest platforms. The largest platforms will garner the most amount of funding, attract the best deals, and also have the savviest investors with the strongest underwriting. As we saw with RealtyShares closing its doors, there is platform risk. All crowdfunding companies investing in equity and preferred equity set up LLCs and operating companies for the specific purpose of managing our investments. Real estate crowdfunding companies are marketplaces to match investors with sponsors of real estate crowdfunded projects around the country. Investors in real estate crowdfunding companies have no lien agains the separate LLCs set up for each of our investments on the platform. As with any investment, only invest what you can afford to lose. Real estate crowdfunding is an illiquid investment compared to stocks, and carries risks. Utilize each platform to thoroughly analyze each deal and diversify your holdings so that you have at least five investments, if not 10+. Building wealth is about investing for the long-term, and I believe real estate crowdfunding is here to stay. Take a look at Fundrise if you are a non-accredited investor and RealtyMogul if you are an accredited investor. They are the best platforms on the market today with the strongest balance sheets and the most stringent vetting process. About the Author: Sam bought his first property in San Francisco on his 26th birthday in 2003. He liked real estate investing so much that he bought three more properties in San Francisco and one vacation property in Squaw Valley, Lake Tahoe. Real estate now makes up roughly 30% of Sam’s net worth. The rest is in stocks, bonds, private equity, and his business. In 2012, Sam was able leave Corporate America at the age of 34 largely due to his investments that now generate roughly $250,000 a year in passive income. He spends time playing tennis, taking care of his baby boy, and writing online to help others achieve financial freedom.